Theatrical charity Acting for Others announces that over £110,000 has been raised at this year’s One Night Only at The Ivy. Stars of the stage and screen swapped their costumes for aprons, and served diners for a one-off sitting at The Ivy, a restaurant renowned for its unfaltering service. Leading the waiting staff this year and trying their hand at bartending, waiting tables, auctioneering, taking coats and welcoming guests were Jim Carter, Sheila Hancock and Dame Penelope Wilton. 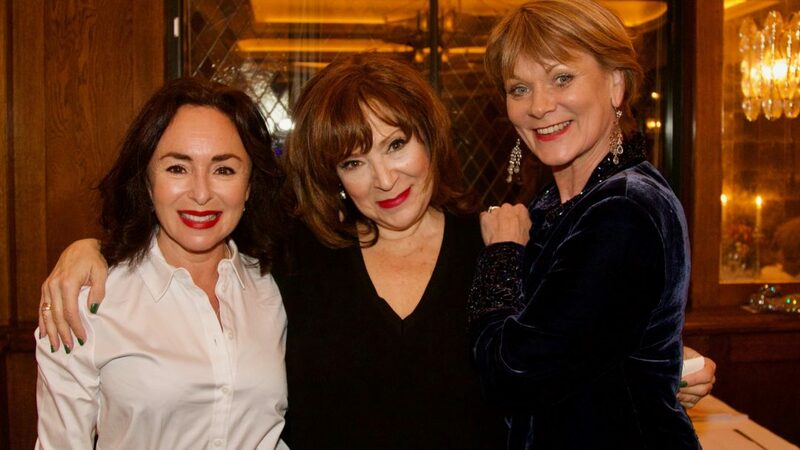 They were joined by Annette Badland, Michael Ball, Samantha Bond, Laura Carmichael, Ben Forster, Michael Fox, Ginny Holder, Celia Imrie, Jeremy Irvine, George Layton, John Partridge, Arlene Phillips, Peter Polycarpou, Jemma Redgrave, Samantha Spiro, Neil Stuke, Owen Teale, Harriet Thorpe, Jason Watkins and Simon Williams. Sir Derek Jacobi and Dame Maggie Smith were also in attendance, hosting the Dame and Knights table with Sir Ian McKellen and Anne Reid as their guests. The evening also included an auction taking place after dinner, with prizes including watching ballet in the wings at the Royal Opera House, pre-show dinner with Sir Derek Jacobi and Samantha Bond followed by tickets to All About Eve, and The Ivy coming to your home to cook dinner, with Ballet in the Wings prize going for the highest amount at £11,000.